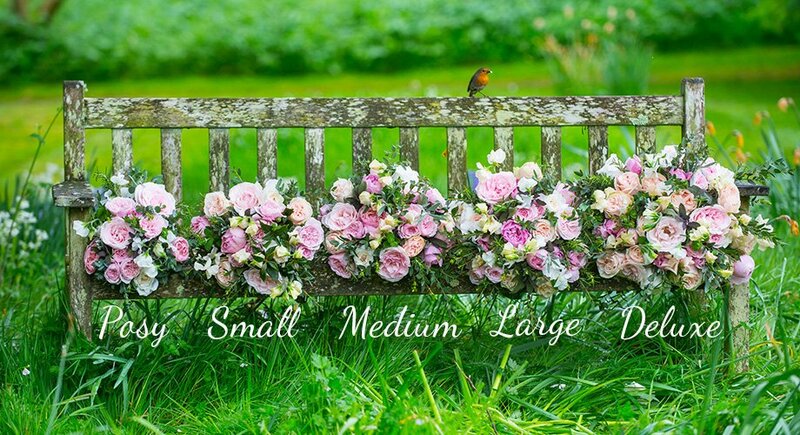 An exquisite array of our stunningly scented roses, foliage and herbs, the Woodland Antique Christmas Bouquet offers an elegantly rustic arrangement. 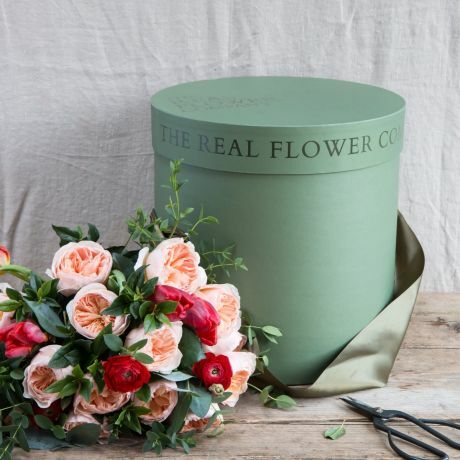 Designed with Cafe Latte, Paul Ricard, Sweet Antike and Peony Pink roses from our Fairtrade Kenyan farm, this bouquet has been arranged with seasonal flowers and foliage and hand-tied to create a sophisticated woodland feeling. This Christmas bouquet is available in a Posy (7 Roses), Small (12 Roses), Medium (15 Roses), Large (17 Roses) & Deluxe (24 Roses) size. The bouquet photographed is a large size.